Lots of gear gets stored in the barn. 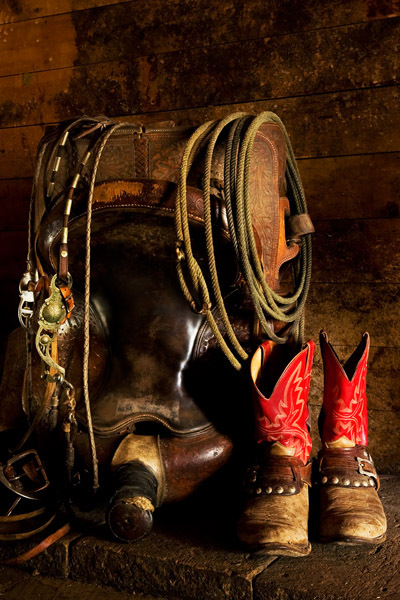 These well-worn boots and all the other gear await their owner for the next ride. For now, until the cowhand is ready, this gear will take a rest from all the chores at the ranch.